Holy prophets in the Bible predicted a one world government. Power brokers say America must become weak before this new world order can be ushered in. It would seem that the politicians in power today seek our fall by taking away our God given freedoms, thus making us weak. But we citizens alone throw away our freedoms one by one every time we shrug off the "yoke" of God's requirements for us as recorded in the Bible. Our weakening comes from rejecting God the source of our strength. The resulting one world government will be a wicked one, ruled by the Anti-Christ. But he won't rule long. Christ will triumph and rule the earth. Wise Christians campaign for Christ's eternal kingdom. But with righteousness shall he judge the poor, and reprove with equity for the meek of the earth: and he shall smite the earth with the rod of his mouth, and with the breath of his lips shall he slay the wicked. And righteousness shall be the girdle of his loins, and faithfulness the girdle of his reins. 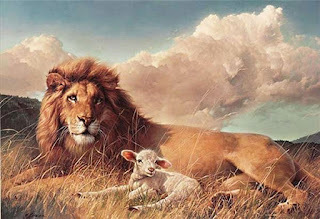 And the cow and the bear shall feed; their young ones shall lie down together: and the lion shall eat straw like the ox. And the sucking child shall play on the hole of the asp, and the weaned child shall put his hand on the cockatrice' den. Yes, when we rest in Christ Jesus there is no fear of the future... On Christ the solid rock I stand! Thank you so much for taking the time to comment, Crystal Mary!